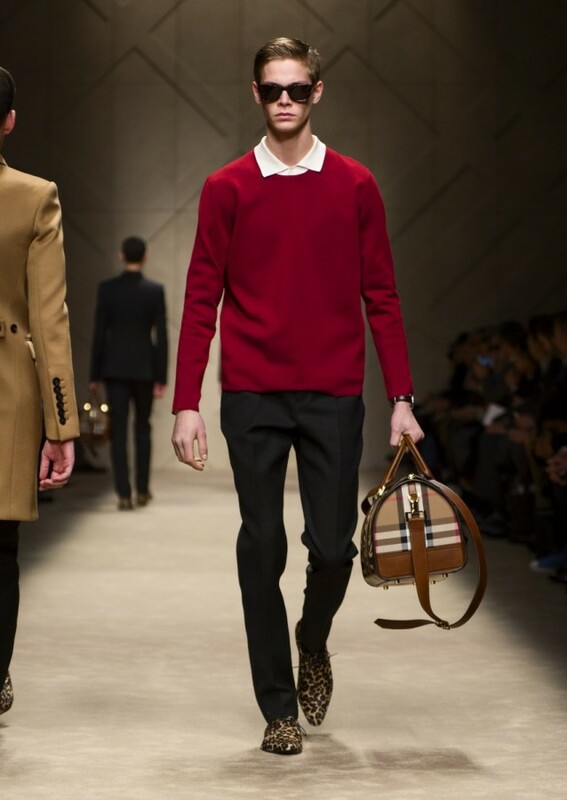 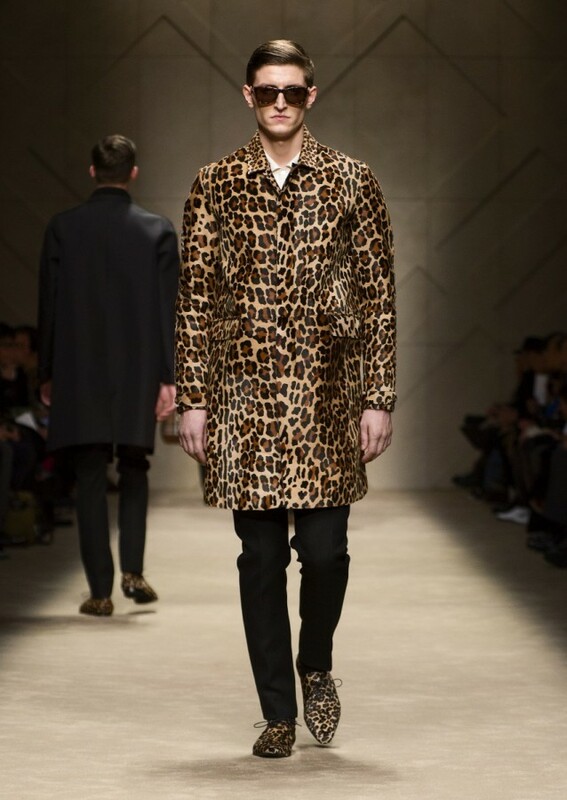 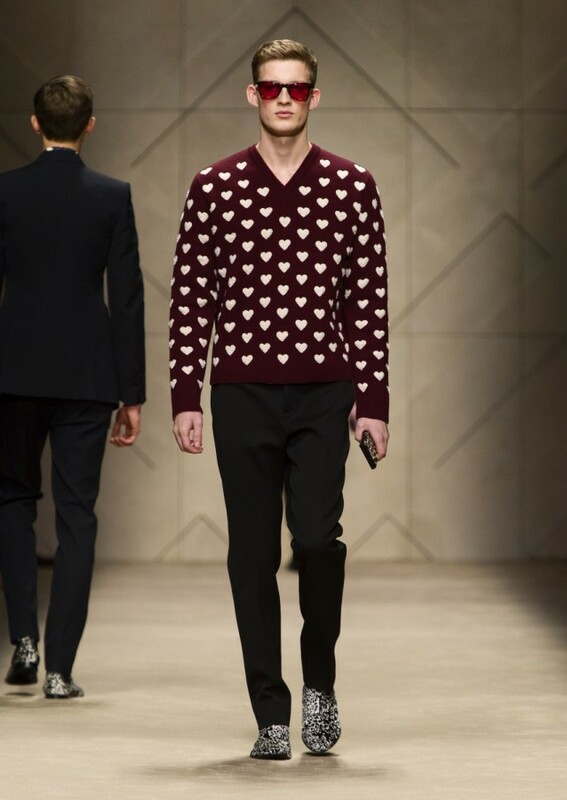 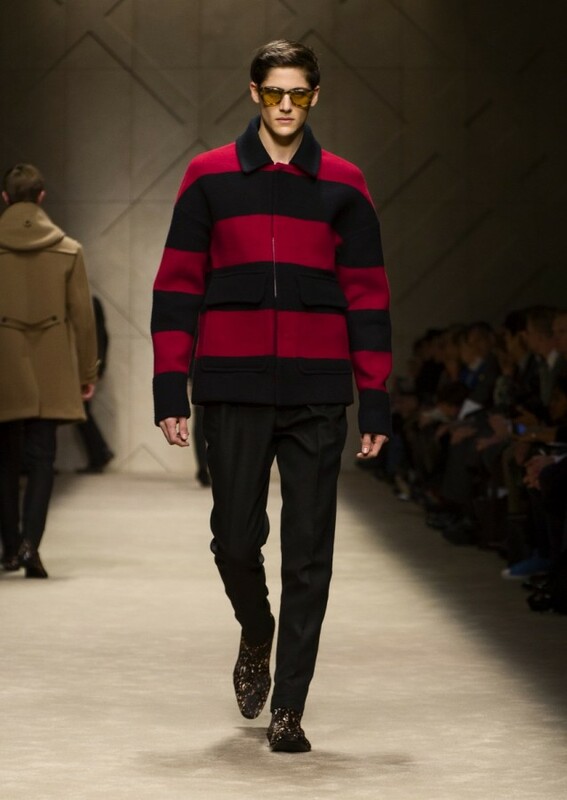 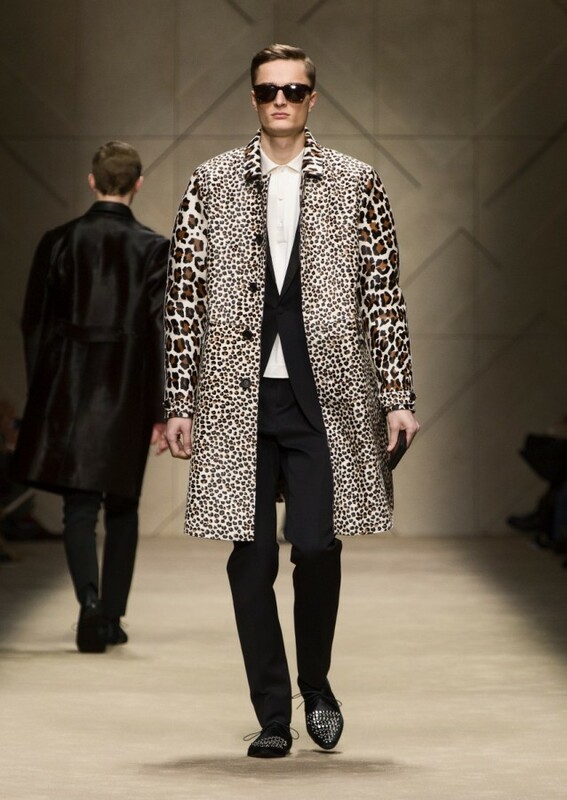 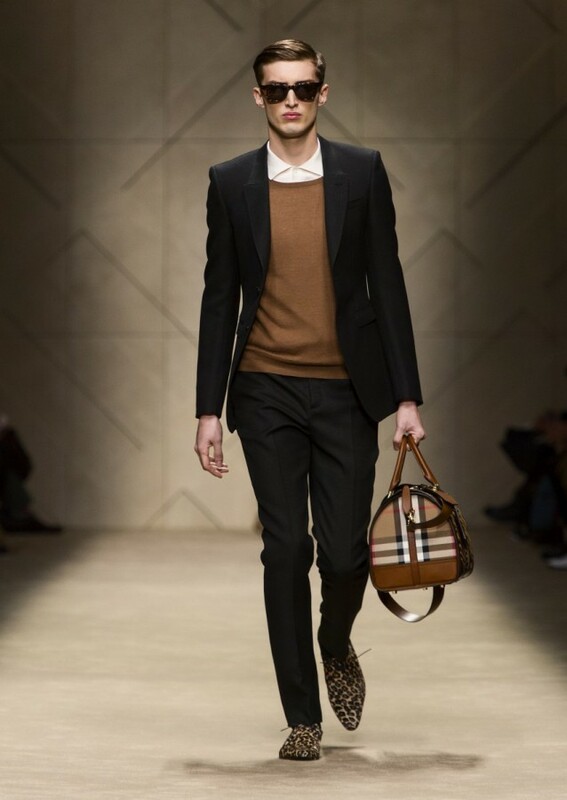 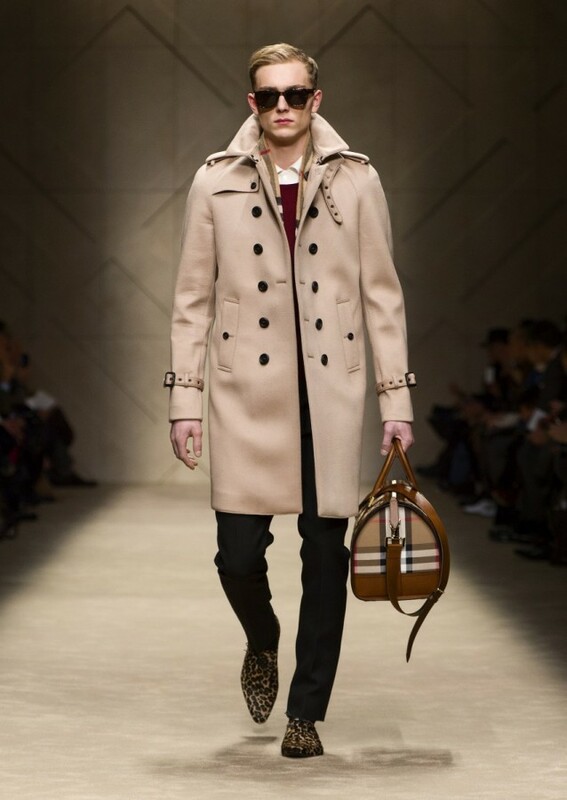 Last week Burberry showed its Burberry Prorsum fall/winter 2013 menswear collection in Milan. 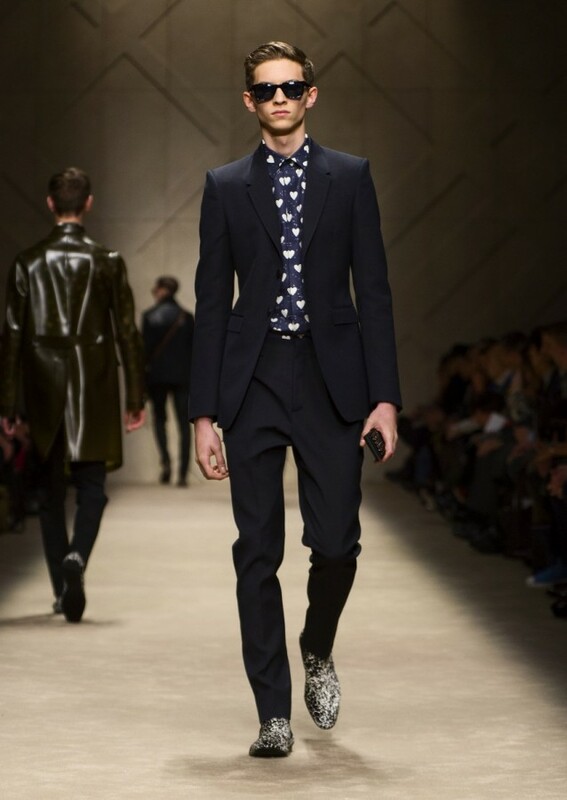 Among the guests were Tinie Tempah, DJ Greg James as well as actors Harry Treadaway and Luke Treadaway. 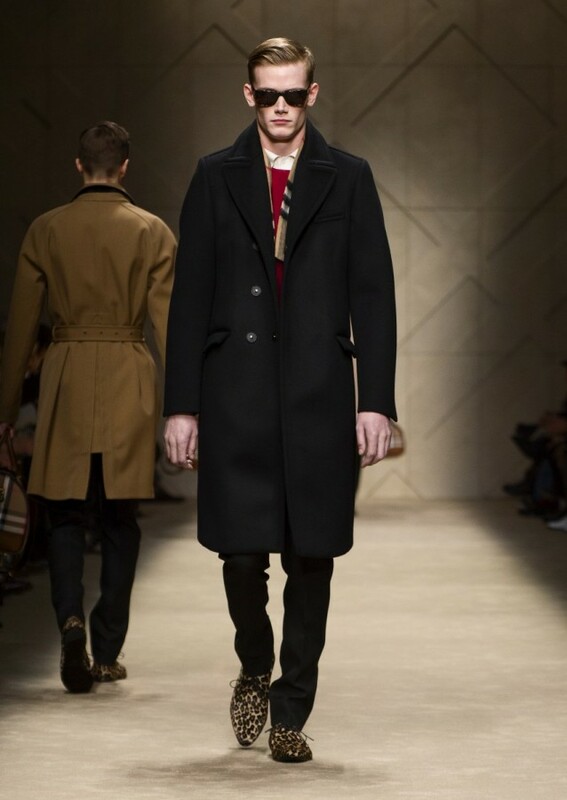 The show featured Burberry campaign models Charlie France, Max Rendell and Alex Dunstan. 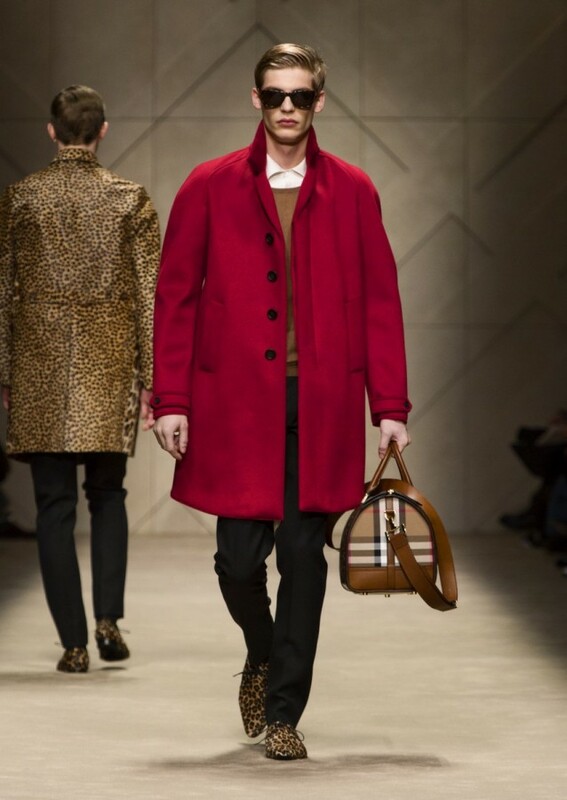 The collection celebrates sartorial Burberry classics and heritage outerwear, including trench coats, tailoring, topcoats, duffle coats, donkey jackets, cabans, Chesterfields and prints and needle-punched heart sweaters. 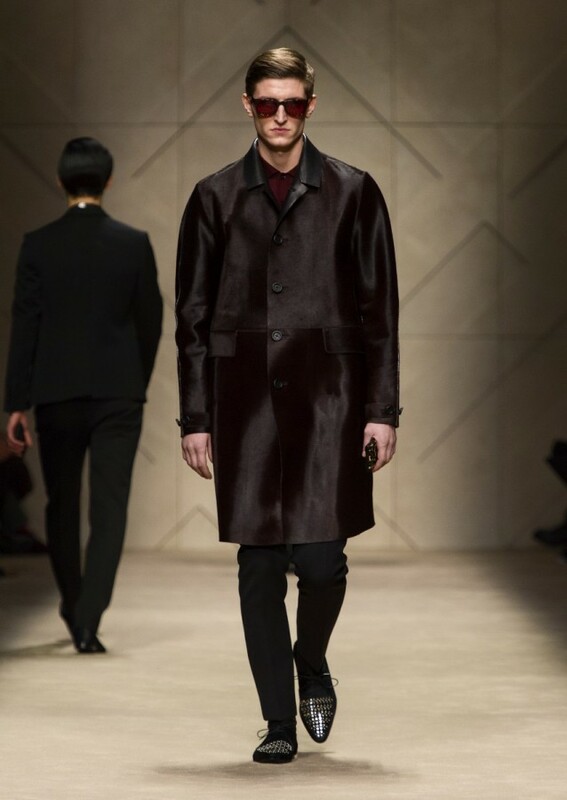 Elevated fabrics including cashmere, velvet and classic cotton gabardine have been used and the colour palette consists of camel, Windsor red, Trench, dark royal purple and dark racing green. 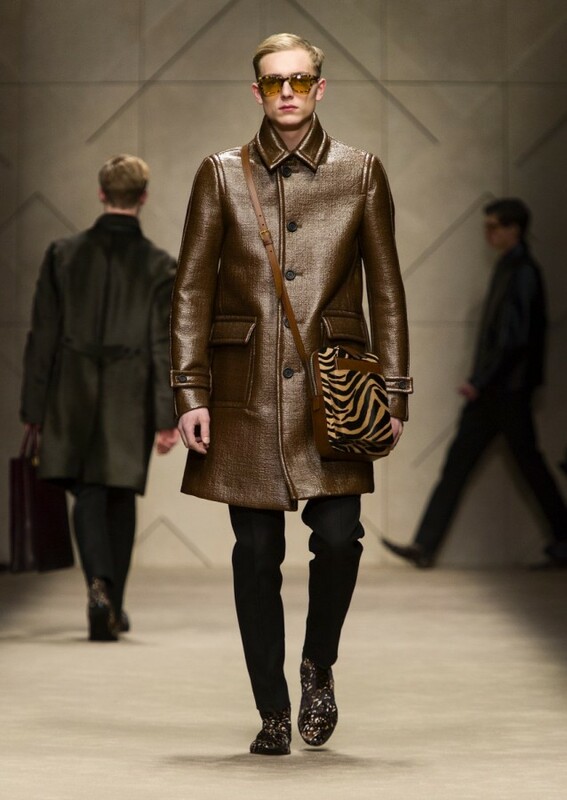 The looks were accessorised with animal print classic sunglasses, The Britain watch and the Burberry Boston bag. 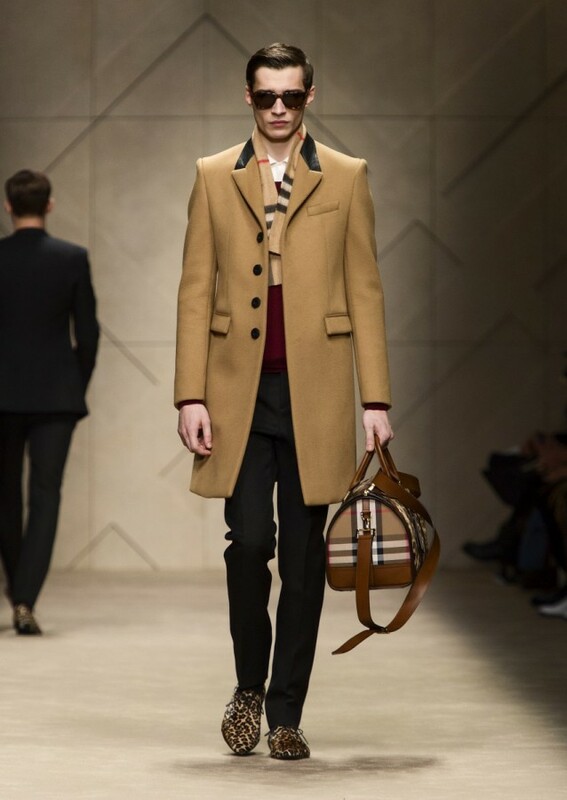 You can order the collection exclusively on Burberry.com through the brand's Runway to Reality initiative. 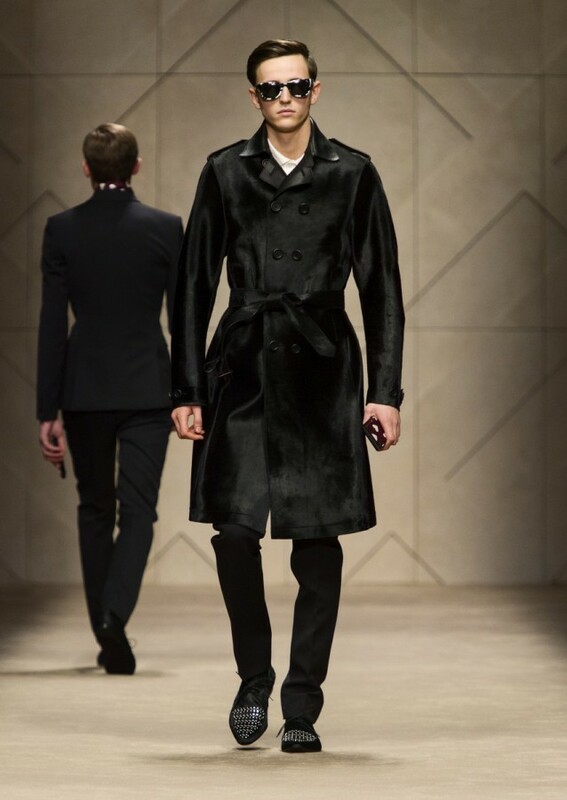 Coats and accessories from the runway are available to purchase for 1 week until Sunday 20 January. 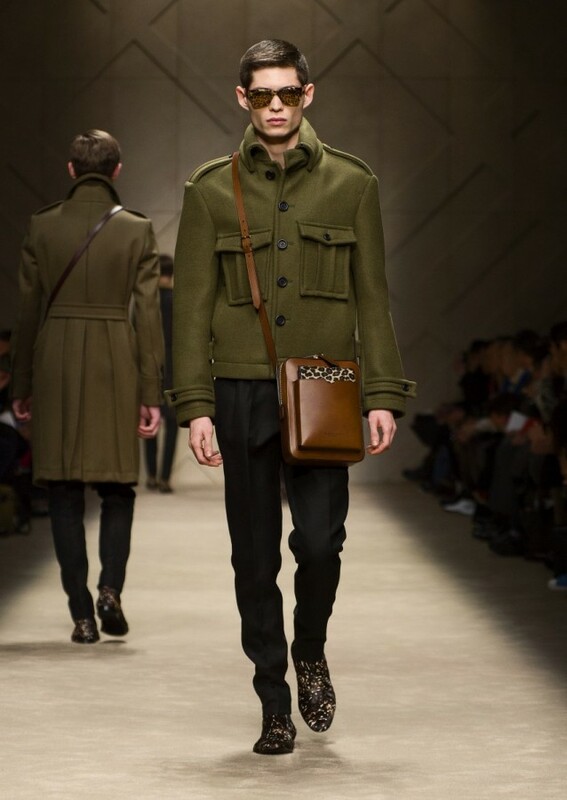 Each made to order piece is delivered in just 8 weeks.